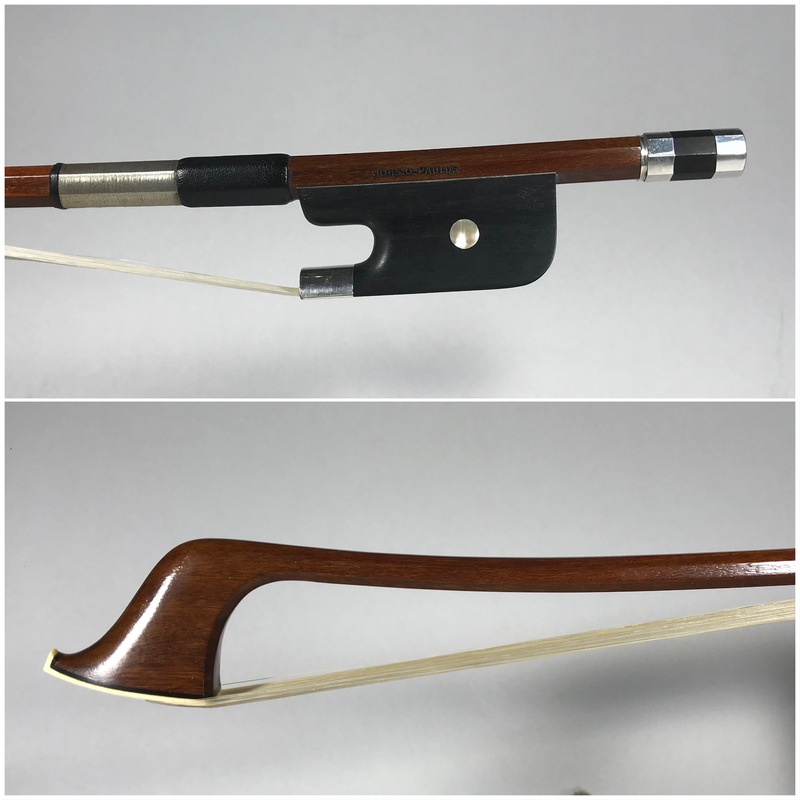 Johannes O. Paulus double bass bow, Markneukirchen. French model, silver mounted. A fine silver mounted French model double bass bow in as new condition. Johannes Paulus worked in Erlbach, Germany in the first half of the 20th century.